Your individual health insurance provides many benefits including major medical, doctor visits, and prescriptions. These are the three most utilized services in healthcare today. So, why does the question come up will my plan cover my prescriptions? The questioning is a concern to most health insurance shoppers because each company uses a different formulary and therefore might not cover your prescriptions. A formulary is a list of which prescriptions are covered and aren’t covered. The health care company has a right to choose which prescriptions will be on this list called a formulary. In individual health insurance most basic medications will be covered under a term called generic medicines also know as tier 1. These prescriptions are also the least expensive. 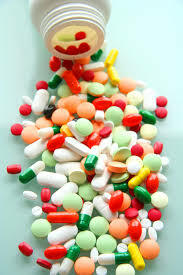 The next level of medications are called brand name or tier 2 medicines. Then there are the non-formulary prescriptions. Non-formulary medications are the medicines that may not be on the formulary but could still be covered in your plan. A non-formulary medication also know as tier 3 will usually cost more than a generic or brand name prescription. Also these medicines are usually the newest, as the older prescriptions should fall under the brand name or generic category. Contact a licensed specialist at EasyToInsureME to find out if your prescription is covered.